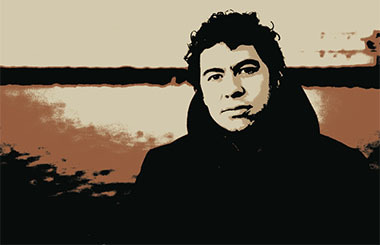 We’re delighted to announce that Declan O’Rourke will be returning to Whelan’s on Sun 2nd Dec. Tickets €27.50 go on sale Fri 28th Sept from Whelanslive.com. Since Kyabram will be re-released Nov 16th, and available via the Warners store, and usual outlets. The record will be available on vinyl for the first time, and the CD version has been packaged into a deluxe 6 panel digipak, that includes a 20 page booklet with lyrics, and new retrospective liner notes by the artist, giving insights into the recording of each song, and the build up to the making of the record. To celebrate the re-release of his classic 2004 debut, O’Rourke will take members of the original band around Ireland this December for a handful of nostalgic, and uplifting shows. Including Galileo, No Brakes, Sarah, Love Is The Way, and Marrying The Sea, the band will play the entire album, along with outakes, and a few surprises! Dec 11 – Town Hall Theatre, Galway.